Kamala Khan continues to mix super-heroic adventure with fun and friendship! Starting with...a slumber party! But if calamity strikes Jersey City while Kamala is having a sleepover with Nakia, Zoe and Mike, how can Ms. Marvel save the day without bailing on her best friends? And speaking of BFFs, Bruno is back - and he and Kamala are learning how to be pals again. What better bonding experience than geeking out over a little science? 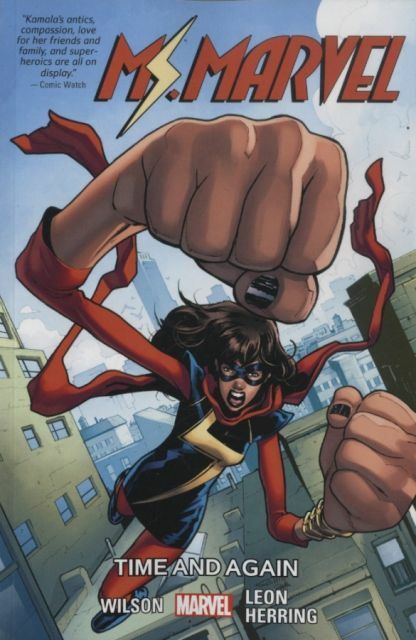 And what better experiment to run than trying to figure out how Ms. Marvel's powers work? But when things go awry and with her uncanny abilities on the fritz, Kamala will have to pull it together to battle a classic Marvel villain! The next big step for Kamala Khan begins here! Collecting MS. MARVEL (2015) #31-38.